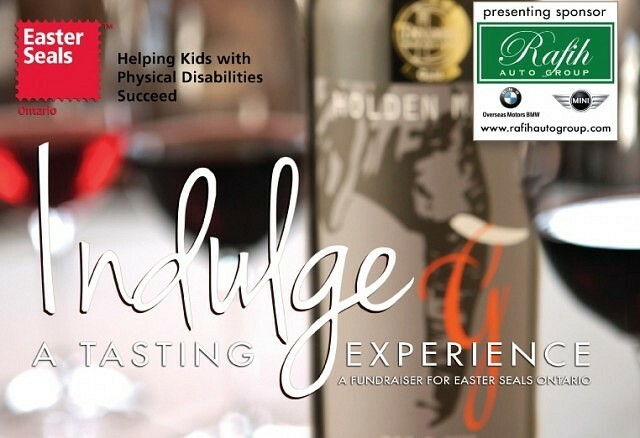 Easter Seals Ontario will host the 1st Indulge: A Tasting Experience to Support Easter Seals Kids fundraiseron Thursday from 6pm to 10pm Overseas Motors BMW, located at 9425 Tecumseh Road East within the Rafih Auto Mall. The Windsor-Essex community is invited to come out and enjoy delicious food and wine from local restaurants and wineries while supporting a great cause. Indulge is social networking and fundraising event where participants can mingle while enjoying tastings from 9 local restaurants and 2 wineries. Participating vendors include Artisan Grill, City Grill, Coopershawk Vineyards, Hikari Japanese Cuisine, Kingsville Golf & Country Club, Mettawas Station, Mezzo Ristorante, North 42 Degrees Estate Winery, Roseland Golf & Curling Club, Antonino’s Original Pizza and South Detroit. The event will also feature live entertainment by DJ Josh Karmin, acrobatic performances by Sky Society, a fashion show by Pray Boutique along with a silent auction and special presentations.